Thank you U-connect for helping me get a good job.God bless your efforts , Amen. Thank you u-connect for this great privilege coming across a life opportunity like this, so professional in solving the unemployment problem in Nigeria. Thank you, u-connect for getting me a job.I really appreciate your kind support. I am writing this to share my success story with u-connect,they are reliable,Thumbs up, u-connect! I really want to thank u-connect for the work done, they gave me an opportunity to join the workforce. Thank you u-connect! A very big thank you to u-connect for helping me secure this job. I really appreciate. Gr8jobsng is a great platform not only for job seekers but also for students hoping to get internship so as to gain work experience before going into the labour market. i got an internship within a period of one month after going premium and am also one of the unilag campus ambassadors of Gr8jobsng. if you havent gone premium yet, i wonder what you are waiting for. I knew I was opened to many opportunities when I became a campus ambassador at gr8jobsng but I never knew it would come so early. Gr8jobsng has helped me to secure an internship position with so much ease. I would recommend gr8jobsng to those who are ready to give their career a boost and also work on their employability skills. U-CONNECT is the real deal, the best place to help get you a job, Thanks to gr8jobsng team! Gr8jobsng is a wonderful platform, I am grateful for the help and assistance.Thank you! UConnect is the real deal, the best place to help get you a job. Thanks to Gr8jobsng Team. U-Connect thanks for making me smile. it's a good feeling to know that my job search is over, thanks to God for using Gr8jobsng to achieve that without stress or fee. thank you Gr8jobsng. "My experience with gr8jobsng was an awesome experience. I also applaud their level of professionalism. Great job guys! " The employment process was swift and seamless. Fantastic job they did. gr8jobsng: as the name implies, is a great recruitment platform that has given young Nigerians like a platform to harness my raw skills. My name is Wale Owoseni. I registered with Gr8jobsng seeking to find a better job than the one i was doing. Am just happy that Gr8jobsng was able to find and connect me with the perfect job i desire. I never thought the platform was real considering our society, with the right skills and qualifications, you can get a job of your dream if you register on the platform!! I am happy,and motivated. A great job in a motivating and rewarding environment thanks to Gr8jobsng!!! gr8jobngs is a nice recruitment platform.thumbs up. U-connect is the best human resources company in Africa. Thanks to gr8jobsng team. The process of employment offer is seamless and excellent. Greatjobsng is the biggest thing that ever happened to me. wow i got a job through gr8jobsng... they are so real. thanks gr8jobsng God bless. Gr8Jobsng performance is outstanding. Simply great. Gr8Jobsng is real and the best in Nigeria. They've made lives better. Thank you. Thank u very much Gr8jobsng, this is a wonderful platform for job seekers. Good stuff on Gr8jobsng, simply the best among the rest. Gr8jobsng is a great platform to seek and secure jobs without having to pay, good job guys. If you are out there crying 'there's no job', I make bold to recommend Gr8jobng to you. Just register or you walk down to any u-connect office and you'll be glad you did. No hassle, No payment required of you. gr8jobsng is a great platform for job seekers, they are real and am a witness. keep the flag flying. Gr8jobsng is simply the best recruitment platform, am a living testimony got a job offer through the recruitment firm....Thumps up to them. 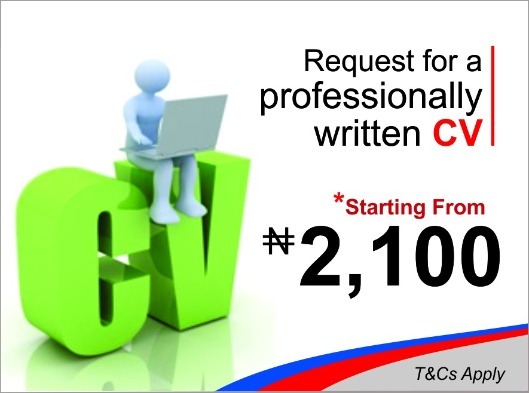 Gr8jobsng is an awesome recruiting firm in Nigeria with credible and valid vacancies and employment. Gr8jobsng a great recruitment platform for jobs.Thumbs up.you're the bomb. U connect is the best platform for recruitment in Nigeria..thanks to the management gr8jobsng. Pretty cool platform for getting awesome jobs. Thumbs up guys! U-connect is really a nice recruitment platform. 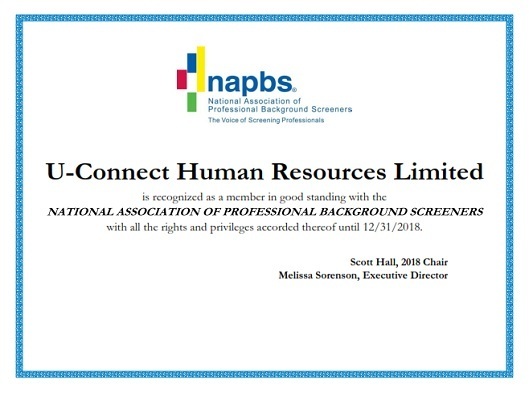 Thanks to the gr8jobng and the Uconnect the wonderful opportunity they giving me. am so glad,they are the best. Gr8jobsng is a place to count on,thanks so much for this opportunity. for a certainty gr8jobng is real.. its less stressful and all jobs posted here are factual. I can say that Gr8jobs is very reliable, responsible as they not only equip people with skills required to excel in respective careers, but also put extra effort to follow up with candidates, matching the best skills with the right job. Thanks for the opportunities. U-connect is the best recruiting platform i have ever known. They are the best. Am grateful to Gr8jobs for this wonderful opportunity. U-connect is a reliable recruitment firm that helps in getting jobs easily.Thanks to U-connect for this platform because i got a job through you. I was looking for a job and I applied at U-Connect, and I got me a job at a reputable company. I'm so happy. Thank you U-Connect! U-connect is a very reliable and trustworthy recruiting firm and they are sure to deliver anytime and anywhere..They are indeed one of the best in africa.. Thanks to Gr8jobs for this wonderful opportunity, am so full of joy. Gr8jobs works!!! this is a place where you can always count on in terms of job search. U-Connect is a wonderful platform. They helped me get a job in no time. I am so excited to be part of this great platform.They are precise, accurate, and detailed. A great place for self improvement and impact making. In this century , It's a smart way to get a job through Gr8Jobsng. Well done Gr8jobsng. Thank Goodness for an organization like U-Connect; they make finding job very easy and accessible for the youths and fresh graduates. HI! I want to tell you about an organization that I know. This is organization is known for integrity, excellence and versatility of team players. The organization I'm referring to is none but Gr8Jobsng! 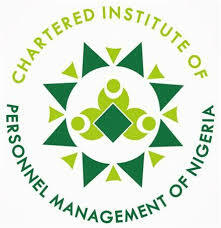 It is the number one recruitment and HR services in Nigeria and Africa in general. Its services are tested and time proving! I therefore, enjoin both the small and big firms to patronize this recruitment company in order to have staff members with high efficiency being integrated into their working force. Gr8job! Service to the humanity!! I can say that Gr8jobs is very reliable as they not only equip people with skills required to excel in respective careers, but also put extra effort to follow up with candidates, matching the best skills with the right job. thank God for this great opportunity and thank you gr8Jobsng. i didn't believe initially that i could get a job through this platform but right now i totally believe. this is a great platform to get your dream job. gr8jobs is simply the best,unlike some other recruitment firm where you go through rigourous processes and still dont get a feed back.kudos to gr8job. Got a job recently through Gr8Jobsng, it was a wonderful experience. I have a job! yaaay!!! Thank you @gr8tjobsng. GOOD JOB! So i never thought any of the e-recruitment platforms worked, till i tried Gr8Jobsng! Thank you Gr8Jobsng!! I am so happy to be on this platform. Thank you gr8jobsng cos i made it through. God bless you. hurray!! I am very happy for the opportunity Gr8 job has offered. After job hunting for many months through Gr8 job i was able to secure a job with GTBANK.Thanks Gr8 job!! Kudos to Gr8Jobsng. I'm happy to be part of this platform. Thanks for putting smiles on our faces and making lives better. This really works! !...got a job in less than a week....I am so relieved....thanks for the opportunity guys!!! I am so overwhelmed, I don't know how to express myself, my eyes are filled with tears. I have been looking for a job since 2015, but finally the Lord did it through u-connect. I just want to thank the management of grt8jobs Nigeria for the tremendous work, for helping me to secure this job. God bless you all. Obiora Onyinyechi. Thank you so much gr8jobsng for finding me the perfect job and also putting a smile on my face within a very short period, I had a wonderful job offer. This was all a result of their professional and first class service.. I would always happily recommend you. I am so grateful and honoured to be part of this great platform. Got a job through Gr8jobsng.it is real,yo all should give it a try.Thank you all,Love you. Thank you Gr8Jobsng for this great job i was able to secure through your company. i got this job within a week, that is so great. Thank you!!!!!! I am so happy i got a job through Gr8Jobsng,in less than a week of application,to my least expectation.Am thrilled by their services,you can never miss that job opportuinity with them.They are the best. i am so happy to know that such platform exist in Nigeria with all transparency. i am proud to get my first official job with gr8jobsng. 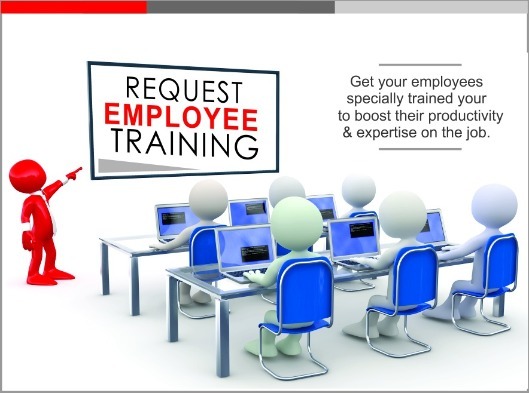 The services at Gr8jobsng is topnotch and their training is simply mind blowing. Plus, they have got experienced facilitators and provide job placement in less than a 'jiffy'....... it worked for me!!!! Gr8jobsng rocks!!!!!! It works, got a job in less than a week!! after the first interview. You should try it out. All the best cheers!!!!!! Thank you Gr8Jobsng for this opportunity and for putting a smile on my face!I am glad to be part of this great platform! CHIOMA. "Gr8jobs.ng is the only job recruitment platform in Africa that can get you a job within a split second. I am saying this because i am a benefactor. If you are in doubt, a trial will convince you"
Gr8jobsng really and genuinely works. After registration, i got a job in less than a month.wooowwwwwww!!! !am so overwhelmed with joy. Gr8jobsng would ever be my number one recruitment platform anytime any day. Juliet isu. Thank you so much gr8jobsng for finding me the perfect job! Within a very short period, I had a fantastic job offer. This was all a result of their professional and first class service.. I would always happily recommend you. Am so grateful to Gr8jobng for this platform and thankful to GOD. Gr8jobsng is a fantastic recruitment platform. very effective and efficient. it all happened in a flash. In less than two weeks i secured a job with gr8jobsng.com. Wow what an awesome experience. MUCH APPRECIATION TO GR8JOBSNG FOR THEIR CONTINUED SUPPORT TO HUMANITY. 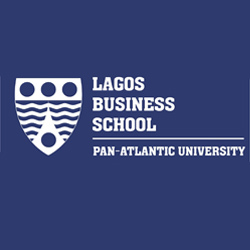 I AND MY FRIEND GOT A JOB THROUGH THIS PLATFORM. KUDOS TO ALL STAFF OF GR8JOBSNG....THANK YOU. Gr8jobsng is a good platform for job seekers..They helped me get a job..Thank you gr8jobsng,you guys are doing a wonderful job. Thank you Gr8Jobsng ,The number 1 platfoam for JOB SEEKERS....... Job hunting is indeed OVER for ME. I registered on this platform less than a week and was called for an interview which i scaled through and was given the job.Gr8jobs has been of immense help to me.Thanks to gr8jobs for this amazing opportunity. Few weeks after i submitted my CV to Gr8jobsng,i got a call for an interview and right now am "SPEECHLESS" thanks to GR8JOBSNG and also to GOD ALMIGHTY. Thanks to Gr8jobsng.com they are doing a great job pls register on the platform and get your dreamjob. since I lost my last job, Gr8jobsng has given me a reason to be happy. Thanks Gr8jobsng. Thank you! Oh my God! I find this too real to believe.Can one get a white collar job with ease in nija? If u asked me this a month ago, i would have told u that it is a big lie. But today my story has change. I just got a huge job at diamond bank but guess who made this possible?GR8JOBSNG.COM did and i am so excited!PLEASE! if u are reading this message, and u havent gotten a job, take this seriously. visit gr8jobsng.com today and i tell u , ur story is gonna change for good too. All thanks to gr8jobsng....was able to get a job within 2 weeks....wow!!!!!!!!! gr8job is great,i got a job within 2 weeks of application. THANK YOU GR8JOBS/U.CONNECT FOR MAKING ME AN UNEMPLOYED YOUTH,GET A JOB AS @3MONTHS AGO I WAS JOBLESS AND I THOUGHT MY WORLD WAS RUNNING AT A SLOW MOTION,BUT TODAY HERE I STAND,I GOT A JOB IN 2WEEKS IN JOINING THIS BEAUTIFUL AGENCY,GLORY BE TO GOD ,THANK YOU GR8JOBS. Finally got my dream job through this platform. Gr8Jobsng is a one stop to all recruiting firms. Thumbs up Gr8Jobsng you guys rock!!! I registered on this platform and in less than a week i was invited for an interview ,to my greatest surprise i got the job after 3days.Thank you so much Gr8jobsng for this great opportunity. Its been an amazing experience with Gr8jobsng...i got invited for an interview a week after i registered on the platform...Thank you so much for the opportunity,i am indeed grateful. i applied for gr8jobng around december 2016 and i got a job feb 2017 all thanks to gr8job. more grease to their elbow. I was able to get a job through Gr8jobsng, keep up the good work! Gr8jobsng thank you so much for getting me a job after a long time of searching its not been up to a month i joined gr8jobs.ng. Please every youth searching for a job needs to join gr8jobs.ng if you want a GREAT job. Thank you gr8job you rock. Gr8jobsng is the best platform for any job seeker. I strongly recommend it for anyone in search for a job in Nigeria. It worked for me, it can as well work for you guys. Thanks to Gr8job for putting a smile on my face. Gr8job is really an amazing platform and they are real. The moment i registered on the Premium service on gr8jobsng, i started getting jobs vacancies, i thought the jobs were not real - not until i was invited for the interviews and right now, i'm gainfully employed! gr8jobsng really proves that there are jobs in Nigeria, regardless of ones discipline, experience expected salaries, their services are excellent and that is just putting it mildly. i have already recommended gr8jobsng to my friends and job seekers that i know, two thumbs up to you guys, keep it! I have never had the rare privilege of encountering a genuine job platform that has curbed the rate of unemployment in Nigeria until I was officially introduced to Gr8jobsnaija in which I would like to express my profound gratitude for the assistance rendered. Gr8jobsng has already assisted me a great deal in achieving my life dream by helping me secure a well paid job within two months of registering. thank you Gr8jobsng. Gr8Jobsng is not just a recruitment agency like people think, they change and transform lives. Its really awesome to be a part of you guys. Thanks for giving me my dream job. Great job . Gr8jobsng is definitely a reliable resourcing organization. I got a job through the platform after just registering in less than two weeks. A good job well done to gr8jobs for connecting me to the world. It is a privilege to be registered under Gr8Jobsng, they have wonderful job opportunities, and I have an amazing job, thanks to Gr8Jobsng. Gr8Jobsng is an amazing platform to get a job. Seamless registration as well. I highly recommend this for jobseekers. Thank you Gr8jobsng ,it's a great recruitment platform .Am so grateful ,i recommend it for any job seeker. Am so happy i have my dream job now.Thanks to GR8JOBSNG for the dream come true. Thank you Gr8jobsng for giving me the best opportunity to get a Gr8job. Gr8job is indeed the No1 recruitment platform and has come to sweep away unemployment in africa. Gr8Jobsng is super cool. The recruitment process is seamless and prompt. Shortly after creating an account on their portal, I was contacted and interviewed for openings that matched my experience and In no time I got myself a new job. Thanks Gr8Jobsng for being of help! Gr8jobsng was introduced to me by someone. I signed up and got a premium account. Everything happened so fast and today I'm smiling because I've gotten a great job. Thank you U-connect! it's amazing people! Gr8Jobsng has opened a career path I never knew could be opened! Thanks to Gr8Jobsng for this Great opener! its for real. It's amazing people! Gr8Jobsng has opened a career path I never new could be opened! Thanks to Gr8Jobsng for this Great opener! Thank you Gr8Jobsng for this opportunity and for putting a smile on my face!I am glad to be part of this great platform! To start with, I am very impressed by the excellent services provided by Gr8Jobsng, Nice environment and friendly people. I got a job in no ampule time. thank you for taking me off the streets! Thank you very much gr8jobsng for this wonderful opportunity.Am so grateful....thanks a lot.if you are looking for a job trust me gr8jobsng is the best platform for that. Gr8Jobsng is a genuine recruitment platform that i can recommend for any job seeker. Why?.... because i just got my dream job through them. Thumbs up to Gr8jobsng Team. Gr8Jobsng is genuine and reliable recruiting firm..........trust me,YOU CAN RELY ON THEM FOR A GENIUE JOB OFFER,that you don't need to know anyone to make it, it is just God's grace and merit...............KUDOS!!! to Gr8jobsng you guys rock. Thank you so much Gr8jobsng for this opportunity, i never knew getting a job during this economic recession could be this easy. I am very grateful and look forward to a better and bright future. Thank you so much Gr8jobsng for this opportunity, i never knew getting a job during Nigeria's economic recession could be this easy. i am very grateful and i look forward to a bright future. Thank you again. Thank you gr8jobsng for this opportunity.My first job as a fresh graduate came through this platform.please do register if you haven't.Don't miss this Golden opportunity. A big thank u to Gr8jobsng...Guys it is real no doubt, just got my great job with out knowing someone from the inside (having a godfather). Gr8jobsng has provided me with a life time chance of landing my dream. It has lived up to its name. Great platform indeed. Don't miss out on this opportunity. its the best of its kind. Never thought getting a job would be that easy, all thanks to gr8jobsng. They are tested and trusted team. Forever grateful. I have moved from one organization to another through Gr8jobsng and it has only gotten better for my career. Gr8jobsng is the real deal in job recruitment. If you are looking for a job just register on their platform. Gr8Jobsng has been fantastically reliable..........trust me,YOU CAN BANK ON THEM FOR A GENIUE JOB OFFER...............Thank you Gr8Jobsng for this great opportunity. Wow! i'm very happy my people, gr8jobsng have given me the opportunity to work and earn good money in this country. it is not like every other recruitment agency guys, it is totally real and authentic. Thank you Gr8jobsng for the job opportunity! You can get reliable and verified jobs on gr8jobsng.com. Thumbs up to Gr8Jobsng for their transparent recruitment process. I didn't have to know anyone or have any long legs before getting this job. Big thumbs up! Gr8jobsng is a great platform for job seekers! definitely not a hoax! they did it for me, they can for you! when i heard of gr8jobsng i tot it was a scam till i registerd with them,gr8jobsng has giving me an opportunity to smile and know that of truth they are are real........thank you so much gr8jobsng. I share my testimony with all other job seeker out there . try gr8jobsng sure you will be great and great value for job recruitment and placement. Great all the way!!! Thank you Gr8Jobsng for believing that I have something good to offer. Gr8jobsng sees the best in people and gives you the best training. I strongly recommend Gr8JOBSng to every Job-seeker out there.....SIMPLY GREAT!!!!!! Gr8tJobsng is a great recruitment agency helping people land dream jobs and ultimately living their dreams. I am a testimony! Thank you U connect for this opportunity. I strongly recommend this job site to all job seekers. I am grateful to Gr8jobsng!!! I got a new job in few weeks through their platform. Great recruiting platform! Great efficiency! Gr8jobsng. No other recruiting platform does it better! Just want to use this medium to say a very big thank you to gr8jobsng for helping the youth meet there needs. Haven searched for job for 2years, it took jt 1 month to get a job with gr8jobsng. Thank you gr8jobsng for saving me from unemployment. I don't just call anything fake, thanks to gr8jobsng.com because they are real, are a job seeker, visit the web page, you'll be glad you did. Great jobs ng are truly living upto their name, they are truly GREAT at helping job seekers get genuine jobs that look impossible to get without connection. I never thought I will be good enough to work in a bank, due to my lack of banking experience, but great jobs ng made me look good enough to work in a bank, despite my little experience in a non banking field. Thanks to great jobs. Keep making people's dreams come true. 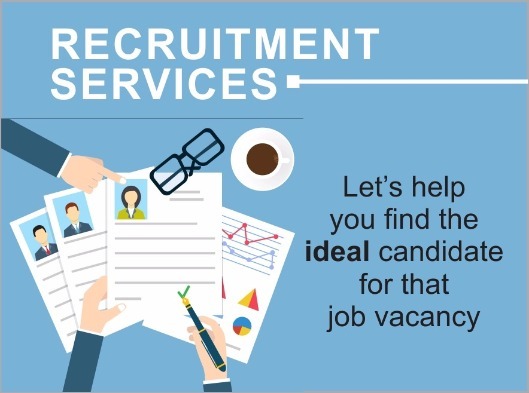 Gr8jobsng is truly a dedicated recruitment platform with profound client assistance,support and speedy delivery of services to assist you achieve excellent career progression. woooow!!! gr8jobsng is for real,the greatest,easier and different of all other existing recruitment platforms in Africa...yeah!! Africa...and to consider other professional services,mehn!! gr8jobsng is just it!!!!!!!!!!! I have been "wowed"!!!! by U-connect, I got a very good job through them within one month. Thumb up to them and keep it up, I appreciate. Uconnect has been a problem solver in the midst of the economic recession and job losses. They have indeed put smile on my face with a wonderful job that all started like a joke. The job is real and it's working. 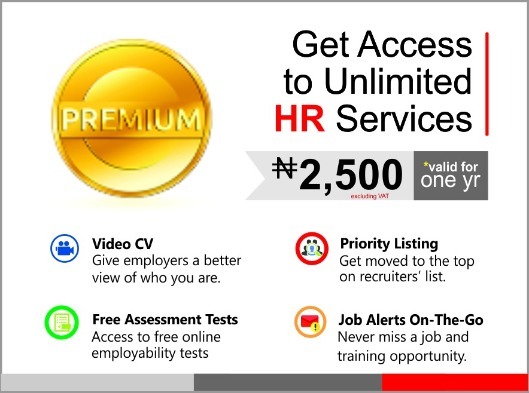 Gr8jobsng/U-connect Unarguably the perfect online recruitment platform for job seekers in Nigeria. Uconnect is a very good service Provider and problem solver to unemployed people that are Seeking for job, this is because once you have submitted your cv they ensure you get job through them. They train people for interview which will enhance their performance in the client interview. I Got a job through them in less than one month a friend recommended me to them. Uconnect is very reliable and efficient. I got this job from gr8jobsng.com at my first application. Thank you gr8jobsng.com for this platform. U-connect have played a critical role in the creation of jobs. They are in partnership with top organisations to help create jobs to jobseekers. I'm one of the beneficiaries that has benefited from this great opportunity that U-connect have offered, I have gained value/skills form their trainings and job allocation to top organisation. U-connect team have also demonstrated a strong commitment and accountability on their job. They have helped me to identify and capture a vision that I had which have been shaped with their support. U-connect have done a great job for me as their new name implies ''gr8jobs'' I appreciate everything. It's been a great journey with U-connect. Well organised recruitment process and a work-friendly atmosphere. Keep up the good work!!! Getting a Good Job has being easy with U-connect. They are the most transparent outsourcing firm... keep up d Good work. Hello...I tried getting jobs through so many career sites but to no avail.. I was introduced to Gr8jobs by a friend and the first time i was invited for an interview, i got the job and i'm currently working and enjoying my job now..Thanks guys please keep up the good work. Thank you U-Connect for giving me a job. I'm so so grateful. Keep the good work rolling. I came to U-connect on recommendation from a friend, I submitted my resume,was called for test and interview,and I got the job. It's been an awesome experience. You guys are the best. Thks. It's been an awesome experience with U-Connect. I was introduced to U-Connect by a friend, got a lovely job at my first try after a well organized recruitment process and the journey so far has been great all thanks to its unmatched and vast experience of its personnels. proudly a premium candidate on this platform. started my new job five days after becoming one. This really works!! I'm getting all my friends to try this out. keep up the good work guys. Nice one, you people are fantastic! This is great... I applied once and got an invitation and now I am employed, thanks! The U-Connect team ably led by the Managing Director has shown yet again, why they are the preferred HR company of choice for discerning organisations. Being able to carve out a niche market and thereafter create an epoch setting portal in our clime for easier access to your stakeholders shows U-Connect as a forward thinking 213C ( 21st century compliant company). Kudos to the team and we are glad to be your partners in progress. Bisola Runsewe MD Squeaky Clean. Thank you for giving me the opportunity to contribute my quota to the Nation. U-Connect is where I belong and I am proud to be part of the progressive family. Sincere appreciation.